The deadline for submission to the 2014 Interaction Awards is next Monday, 30 September at 11:59 EST. You have seven days – now’s the time – enter now! See last year’s award winners for sample projects in each category. 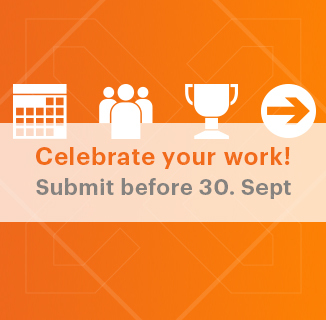 Entry to the awards competition is open to all companies, individuals and students. Check out the rules for more details. A shortlist of up to 72 projects will be announced publicly by November 2013, and will be showcased online. We’ll invite the community to evaluate the shortlist and their favorites for People’s Choice. The shortlisted projects will be evaluated by the Interaction Awards Jury at an on-site final judging event at Fabrica in Treviso, Italy, November 9-10, 2013. Up to five finalist winners in each category will be announced shortly thereafter and will receive one registration to the Interaction14 conference in Amsterdam in February 2014, where we’ll announce the Best in Category, Best in Student, Best in Show, People’s Choice and IxDA Future Voice Award winners. All winners will receive a trophy and all Best in winners a cash prize. Be proud! Inspire others with your work. Let’s showcase what’s happening globally.